A light and delicate red wine made with a variety of grapes giving a red berried palate. A number of varieties go to make up this light red wine. They include Triomphe, Regent, Pinot Noir as well as some Gamay and Dornfelder. All the grapes are hand picked and pressed together to produce a delicate wine with red berried and strawberry fruits on the nose. This leads to a red berried palate with light tannins. This wine has been made ripasso style. Food match: Excellent with delicate steaks and meat pies and casseroles. 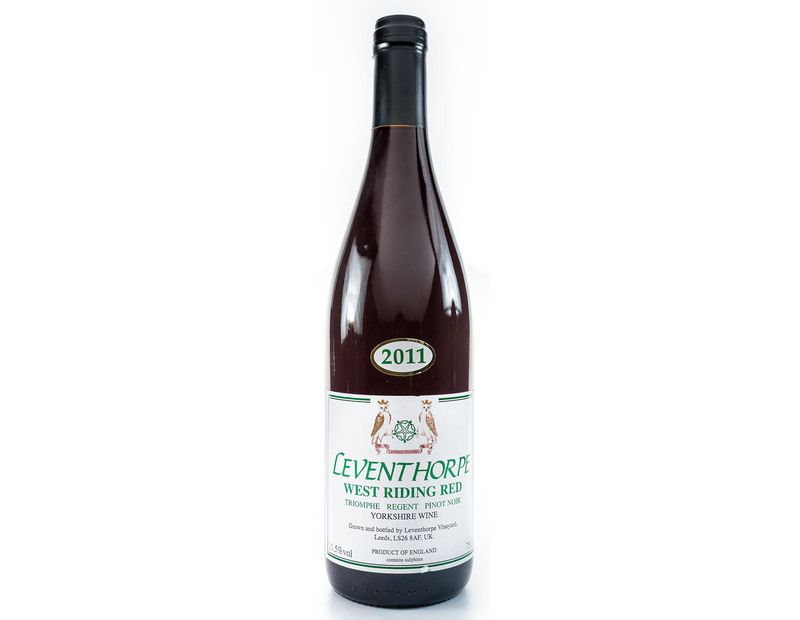 The Leventhorpe vineyard was established by George Bowden in 1985. The vineyard is a five acre site near Leeds on a south facing slope which leads down to the River Aire. The soil is well drained sandy loam overlying sand and broken sandstone. The wines have been reommended by people such as Rick Stein, Oz Clarke and Jancis Robinson.